This is probably only exciting to us but this post was crafted using a much, much faster system. No more hand-typing a bunch of stuff into an HTML framework. That was super silly, we should have made our little script way earlier. So welcome to the new and improved and in no way different to your eyes Nerd Watch. 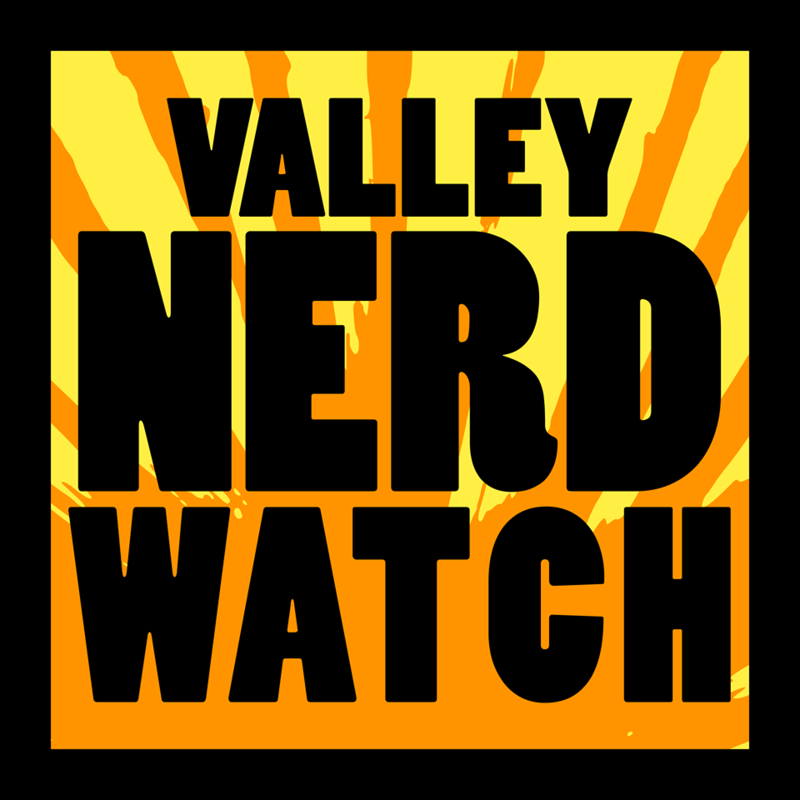 Big deal this week is of course the wonderful spectacular and completely worthwhile Nerd Nite NoHo. This event is put on by the two most excellent folks in town and they are definitely also smart and everyone thinks they are cool. The speakers this month are going to be really neat, too! Speaker Stacey Cooney will talk about the 50% ridiculous, 50% spooky, 50% depressing New England Vampire panic. Samantha Bernecker on the other hand will be talking about how relationships affect both your mental and your physical health. We had a chance to play the extremely interesting game “Liberty or Death” from the COIN series of wargames this week. It is – like most of the series – real complicated. It’s a sort of strategy wargame where simply engaging in a battle is an option you’ll be using significantly fewer times than “march” and “patrol” and “raid” and “muster”. It’s all about taking advantage of slightly arcane interactions of the rules, positioning, and chance to push yourself toward victory conditions that may have little to do with the how many troops you’ve managed to deploy or kill. The learning curve is kind of a learning wall, but once you get over it there’s really no other game we’ve played with the same sense of realistically commanding troops. Very interesting and recommended provided you have at a minimum one friend who is completely into the idea of taking 5 hours to play and learn and then 3 hours for a “quick” game every so often. Children aged 6-10 are welcome to come have an hour of fun writing activity! They’ll get to do some exercises and then share work whenever they’re ready. Snacks are also provided! A powerful mixed-media exhibition based on stereopticon images of the historic Mill River Reservoir Disaster of 1874. In a terrifying testament to hubris, the breakage of a dam destroyed factories, homes, bridges, and lives along an 11-mile path. It was the first major dam disaster in the US. The Easthampton monthly art walk! There’s a lot of art to check out and good times to be had. Comics N’ More has a neat gallery in their little upstairs foyer area, and this is a great chance to check it out and chat with the friendly staff! A conversation between and among aspiring writers and their mentors. Published writers will also give their thoughts about their own mentors. The panel includes Polina Barskova & Rachel Conrad of Hampshire as well as Jeff Parker & Sabina Murphy of Umass. Writers welcome! Israli antrhopologist Jeff Halper comes to The Odyssey to talk about his new book. It’s an indictment of the Israli state drawing on firsthand research that attempts to shine light on daily injustices. It sounds harrowing, but also interesting. The Odyssey and the Straw Dog Writers Guild present the second annual panel discussion about writing for children, from early readers and picture books to YA Novels. Authors Anna Alter, Molly B. Burnham, David Hyde Costello, and Gina Damico all have extensive experience to share! David Grayson was a writer who focused on the simple homesteading life in the Happy Valley. But apparently it’s a pseudonym? Not even halfway through this event description and there’s a twist! Try to solve the mystery of who exactly David Grayson was at Jones! Gareth Hinds is the author and illustrator of a lot of critically-acclaimed graphic novels based on classic literature and mythology like The Odyssey, Macbeth, and Romeo and Juliet. He’ll talk about his career, give a drawing demonstration, and talk about illustrating a new book! Book signing to follow! Are you a comic creator? Do you want to hang out with fellow comic creators? You’ve probably already put two and two together here but basically this event is right for you! Hone your craft in the company of both aspiring and veteran comic creators! Meetings of this group are open to anyone interested in Drupal! Bring problems, bring questions, bring ideas, bring cookies! Those always go over well. Who? Hahaha get it that joke will never not be fun. But for real if you don’t know, Joseph “Doctor Who” Whovian travels the world in search of the gem that will bring his beloved back from beyond the Shattered Vale. Hang out and watch this fun British Sci-Fi classic at the Forbes! A film screening sponsored by the Committee to Stop War of a movie about a writer, activist, and philosopher who has devoted her life to revolution. The triumphant return of your favorite night! It’s a great time this month! The always astute Sam Bernecker will be presenting on the connection between social ties and health both mental and physical. Excellent local radio host Stacey Cooney will be presenting a harrowing tale of a panicked local populace convinced it was being plagued by vampires in the far off era of… 1892? Teensy robots! A chance to make a tiny little buddy robot who will vouch for you when the inevitable happens and our metal servants rise up against us. Their cruel claws will pass you over when your adorable advocate convinces them of your use! Sign up in advance at the library! The Mill River Flood was one of the worst disasters of the 19th century in the US. Within an hour, it killed 139 people and left 740 homeless. Several mill villages were simply washed away. Investigators deemed the dam “sham work”, but none were held responsible. Elizabeth Sharpe will dig deep into this distressing local history.